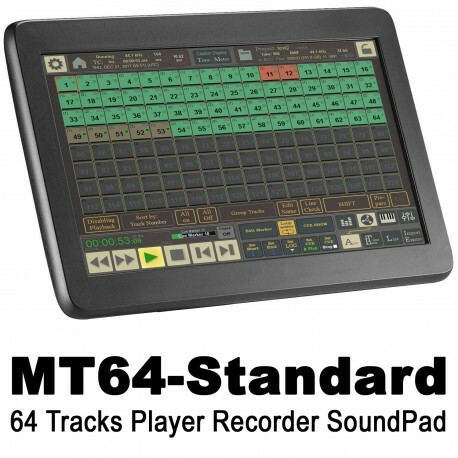 The MT64-Standard Software Application is offering all functions to record and playback 64 audio tracks. the integrated SoundPad allows to launch sounds on the fly by Buttons or Playlists. MT64-Standard is designed to be used on any Windows computer (from XP to WIN10 - 32 or 64 bits) with possible small screen (1024 x 768). The graphic user interface is touch screen compatible and designed for to live environments and operational situations. The MT64 includes project management, fully compatible with MT128 Pro version. Download & User manual: MT64-Standard.